With all the hustle and bustle during November and December, it’s easy for the gospel to get lost in the shuffle. But the Great Commission never takes a vacation, and the holiday season provides some unique opportunities for sharing the gospel that we don’t have during the rest of the year. If your family does the “let’s go around the table and say what we’re thankful for” thing at Thanksgiving, briefly express your thanks to Christ for His death, burial, and resurrection, and for saving you. If you’re hosting Thanksgiving, place a slip of paper with a Bible verse on it about giving thanks at each place setting . Go around the table and let each person read his verse before the meal. Here are a few to get you started, or if you like it artsy, try these. Give to the Lottie Moon Christmas Offering of the International Mission Board. (This is an arm of the Southern Baptist Convention, but anyone can donate.) The LMCO is designated to fund and equip missionaries who serve outside of North America. You can give online here or drop by your local Southern Baptist church. Invite an unchurched friend to church with you. Lots of people are more open to dropping in on a worship service or attending a special church event (like a Christmas cantata or nativity play) during the holidays than they are the rest of the year. Get a group from church together and go Christmas caroling. Choose songs whose lyrics showcase the gospel (Hark the Herald Angels Sing, Joy to the World, and O Holy Night are good ones!) Take some tracts, Bibles, or small gift baskets (containing tracts or Bibles) with you to leave at each home (and don’t forget to invite them to church!). Donating to a toy drive? Tuck a tract inside your gift or consider donating a gospel-centered children’s book or Bible. The Jesus Storybook Bible and The Biggest Story are great, doctrinally sound choices. Or how about The Mission Ball? Contact your local college campus ministry and find out how to invite an international student to spend the holidays with your family. International students can be curious about the way Americans celebrate the holidays. Additionally, dorms often close during school breaks leaving students far from home with no place to stay. Take advantage of the time with your student to take him to church with you and share the gospel with him. If Christmas parades are a thing in your area, put a float together for your church and use some awesome gospel-themed throws like Don’t Stub Your Toe, Pocket Testaments, or some eye catching tracts. Chat with your neighbors, even if you don’t know them well. Shoveling snow together? Exchanging baked goodies? Slow down and take the time to talk (and really listen) with your neighbors. It is amazing how people often open up if someone just takes the time to listen to them. Ask how you can pray for them, and, if the situation is conducive, do it right then. You might even find it turning into a witnessing encounter. Send out an annual Christmas newsletter? This year, instead of making it about your family’s accomplishments, how about focusing on what God accomplished through the incarnation, life, death, and resurrection of Christ? That’s the most important news your family could share. share the gospel during the holidays? Good Newsfeed– Get the good news to all five thousand of your closest friends simultaneously by posting a short gospel presentation video to your Facebook page. The two I like best are here and here. Missions on the Amazon– Are you familiar with Amazon Smile? It allows you to designate a portion of your Amazon.com purchase for donation to the charity of your choice. I like to donate to the “International Mission Board of the Southern Baptist Convention” (copy and paste that into the Smile search bar if you’d like to donate to the IMB). Left Behind– If you’re new to sharing the gospel with strangers, an easy way to do it is to leave a tract or a New Testament (preferably one with a page that explains the plan of salvation, or tuck a tract inside) behind when you go somewhere. Some good places to leave one: waiting areas of doctors’ offices, hospitals, airports, the DMV, salons, restrooms, on a park bench (in a plastic bag in case of rain), or at a restaurant (with a GENEROUS tip). Use wisdom with regard to any rules the business may have about litter or soliciting, especially if your (or another) church’s contact information is printed on the tract or Bible. When I leave a Bible, I like to write a note on the inside (“I’m not lost, I was left as a gift for you. Please take me home and read me.”) so the person who finds it knows she’s free to keep it. You can purchase Bibles inexpensively at the dollar store, or ask your pastor about ordering them in bulk. Be a Twit– Tweet gospel centered Bible verses, and, if appropriate and safe, let people know they can contact you (maybe via a designated, anonymous e-mail account?) if they want to know more about the gospel. Throw Me Somethin’, Mister!– Down here in Louisiana, we have tons of parades, and in good Mardi Gras tradition, we throw things to the spectators. Instead of worthless plastic beads and trinkets, how about throwing New Testaments, or little bags of candy with tracts inside? If parades aren’t the thing in your neck of the woods, you can also give tracts and Bibles away from your booth at the fair, festival, or flea market, at your garage sale, at your kids’ lemonade stand, etc. And if your church does fundraisers like bake sales, car washes, or other events that are open to the public, be sure there are church members available to share the gospel and pray with people who are open to it. Be a Designated Donor– If you own your own business, have garage sales, sell craft items, etc., commit to setting aside a percentage of each sale for missions. The more specific the focus, the better. For example, adopt a particular unreached people group or give to an organization that focuses on getting the gospel to a certain focus group (such as victims of human trafficking or ESL students). Learn about the people the money will help and briefly tell your customers about them with each transaction. This may also open a door for sharing the gospel with your customers! Group Project– Looking for a great evangelism activity for your youth group or small group? Join up with The Biggest Project. It’s an operation that aims to get an awesome DVD gospel presentation called “The Biggest Question” into as many hands as possible by handing them out on college campuses, at sporting events, or anywhere else there’s a lot of foot traffic. Like the idea but your group isn’t quite ready? You can sponsor DVDs for groups who want to distribute them but can’t afford the cost to order. Join the Club- The Bezeugen Tract Club, that is. 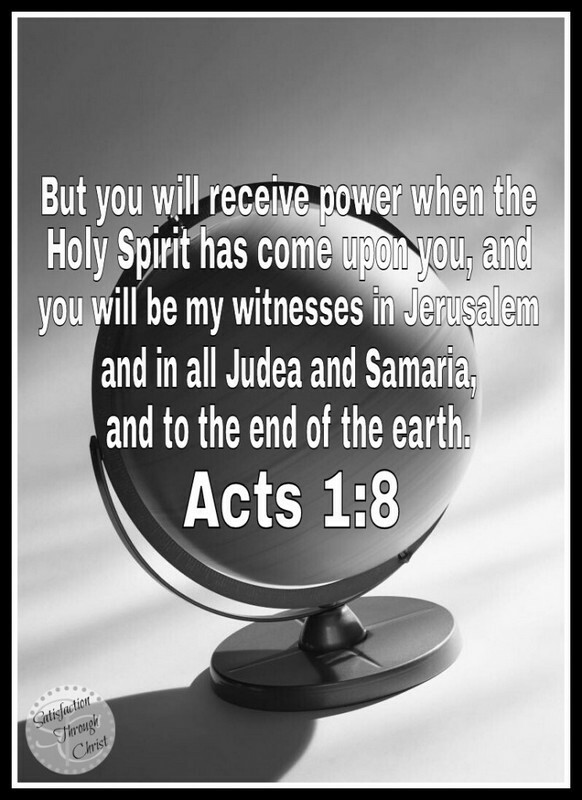 Sign up to receive a free 30 day supply of tracts every month, take the daily tract challenge, share Bezeugen’s e-tracts via Facebook and Twitter, donate to supply others with tracts, or volunteer to help with their monthly mailing. This is a great little ministry to take part in. There are probably more different ways and opportunities for sharing the gospel and furthering mission work now than ever before. Get creative, get out there, and let’s get the good news of the gospel to a lost and dying world. 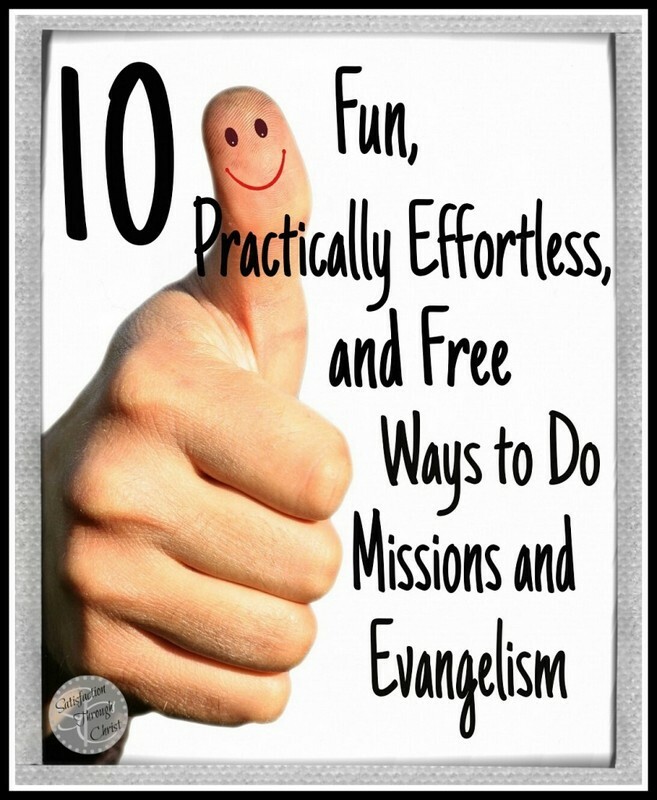 with others or contribute to missions work? THIS ARTICLE WAS ORIGINALLY PUBLISHED AT SATISFACTION THROUGH CHRIST, and has been modified. If Christmas parades are a thing in your area, put a float together for your church and use some awesome gospel-themed throws like The Biggest Question DVD, Pocket Testaments, or some eye catching tracts. Left Behind– If you’re new to sharing the gospel with strangers, an easy way to do it is to leave a tract or a New Testament (preferably one with a page that explains the plan of salvation, or tuck a tract inside) behind when you go somewhere. Some good places to leave one: waiting areas of doctors’ offices, hospitals, airports, the DMV, and salons, in restrooms, on a park bench (in a plastic bag in case of rain), or at a restaurant (with a GENEROUS tip). Use wisdom with regard to any rules the business may have about litter or soliciting, especially if your (or another) church’s contact information is printed on the tract or Bible. When I leave a Bible, I like to write a note on the inside (“I’m not lost, I was left as a gift for you. Please take me home and read me.”) so the person who finds it knows she’s free to keep it. You can purchase Bibles inexpensively at the dollar store, or ask your pastor about ordering them in bulk. What are some creative ways YOU like to share the gospel with others or contribute to missions work? I want you to buy my book. I want you and your church and any other Christian organization you’re a member of to buy as many copies of my book as you possibly can. Well, it’s certainly not because I want to become rich and famous and have a monopoly on Bible study sales at your local Christian bookstore. I really couldn’t care less about that. And it’s not because I want to make a lot of money for my publishing house, or feed my ego, or prove myself to people, or score some sort of brownie points with God. I want to be a missionary. And I want you to come with me. How can buying my book turn you into a missionary? If you’ve never turned from your sin and trusted in Christ’s death on the cross to pay the penalty for your sin, you’ll find out all about that in my book (and FYI– you do NOT have to buy the book for that. E-mail me at michellelesley1@yahoo.com, and we’ll chat, or click on the video “Good News!” on the side bar.) YOU are your first mission field. If you have been born again, buy this book and use it to study God’s word so that He can build you up into an even mightier woman of God than you already are. Let Him turn you into a praying, studying, praising, worshiping, Gospel-sharing machine! Give Jacob as a gift to someone who needs to know Jesus as Savior–a friend, your child’s teacher, your beautician… Give it to a Christian friend or loved one to help her grow in her faith. Give copies to your local battered women’s shelter. Start a lunchtime ladies’ Bible study at work. 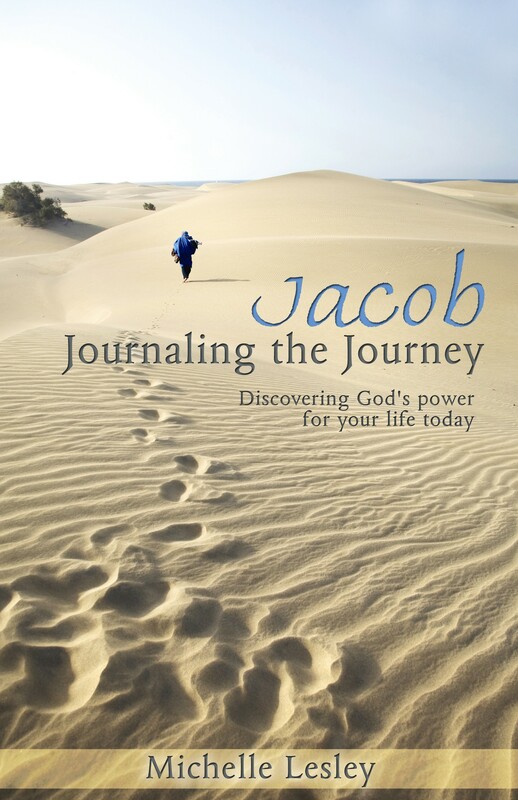 Invite the women of your neighborhood to study Jacob in a small group in your home. You can also buy copies to send with missions teams from your church to distribute to the people they’ll be ministering to, or ship them to an overseas church that your church supports. And all you have to do is buy a book. Free Giving– Gospel for Asia has a number of ways you can give to missions for FREE. From air miles to eBay, you can support the spread of the gospel in Asia. My favorite is the grocery store scan card. 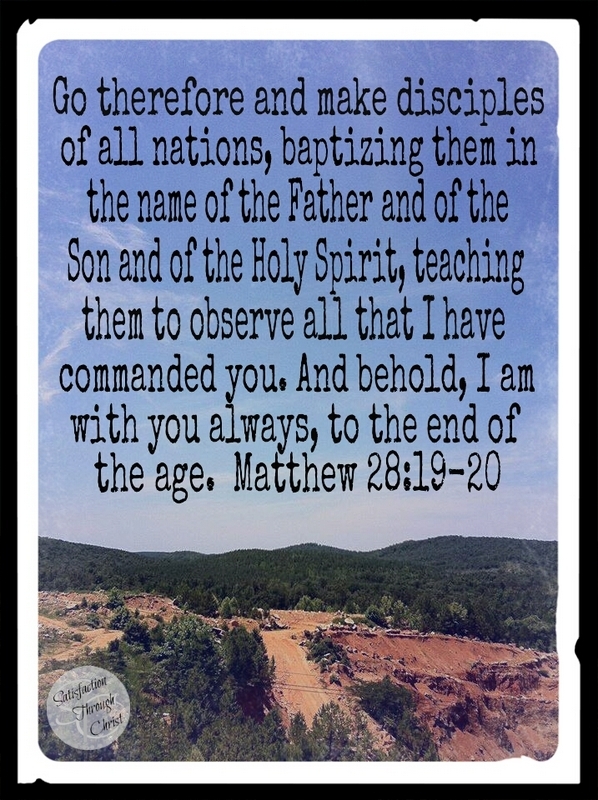 Left Behind– If you’re new to sharing the gospel with strangers, an easy way to do it is to leave a tract or a New Testament (preferably one with a page that explains the plan of salvation, or tuck a tract inside) behind when you go somewhere. Some good places to leave one: waiting areas of doctors’ offices, hospitals, airports, the DMV, and salons, in restrooms, on a park bench (in a plastic bag in case of rain), or at a restaurant (with a GENEROUS tip). Use wisdom with regard to any rules the business may have about litter or soliciting, especially if your (or another) church’s contact information is printed on the tract or Bible. When I leave a Bible, I like to write a note on the inside (“I’m not lost, I was left as a gift for you. Please take me home and read me.”) so the person who finds it knows she’s free to keep it. Be a Twit– Tweet gospel centered Bible verses, and, if appropriate and safe, let people know they can contact you (maybe via a designated, anonymous e-mail account?) if they want to know more about the gospel. You can purchase Bibles inexpensively at the dollar store, or ask your pastor about ordering them in bulk. Be a Designated Donor– If you own your own business, have garage sales, sell craft items, etc., commit to setting aside a percentage of each sale for missions. The more specific the focus, the better. For example, adopt a particular unreached people group or give to an organization that focuses on getting the gospel to a certain focus group (such as victims of human trafficking or ESL students). Learn about the people the money will help and briefly tell your customers about them with each transaction. This may also open a door for sharing the gospel with your customers! Here’s how I’ve done it with the royalties from the sale of my book. Have you taken the ice bucket challenge? If so, I’m calling you out! Don’t forget to share this around to challenge your church, your friends, and your small group to give to missions!